As children grow, it’s essential to their health that they visit a dentist regularly. However, going to the dentist can be overwhelming, especially for young children. Being in an unfamiliar room with new sounds, sights, and smells can cause anxiety for children. I have been practising family dentistry for more than 17 years and am aware of how real these fears can be. There are many ways you and your child can work together to overcome anxieties they may be feeling and here is what I’ve seen work for other children that may be able to help your child too. The earlier you begin taking your child to the dentist, they will usually have less anxiety the older they get. Taking them at a young age can help them become more familiar with the office and the staff members as they get older. It’s recommended that you begin taking your child to the dentist around the age of one. Another thing you can start from an early age is having a dental care routine at home. Start brushing and flossing their teeth when teeth first become visible. There are fun toothbrushes and kinds of toothpaste available to make dental care a more enjoyable experience. When speaking with your child about the dentist, keep it positive and keep it simple. Tell them how important it is to go to the dentist so they can grow up with a healthy mouth. Practising at home is a great way to help your child know what to expect at the dentist. You can easily turn a dental visit into a fun game of pretend and practice what will happen when your child goes to the dentist. You can have them practice laying down with their feet out flat and opening their mouth wide and counting their teeth. Hold a mirror and show your child how a dentist might look and check their teeth. Let your child play the dentist by brushing the teeth of their favourite animal or doll. If your child is feeling especially anxious about going to the dentist, you may be able to help them by practising relaxation techniques. They can be useful for children with anxiety. Techniques can help slow down any panic felt towards the dentist. A simple, effective relaxation technique is deep breathing that can be used both prior and at your child’s dentist appointment. Have them practice deep inhalations and slow exhalations in a paced manner to help calm them at their appointment. Work together with your child to find a relaxing technique that works for them. Having good oral hygiene is essential to one’s overall health. It’s important that a dental care routine for a child at an early age gets children accustomed to what it means to have a healthy mouth. 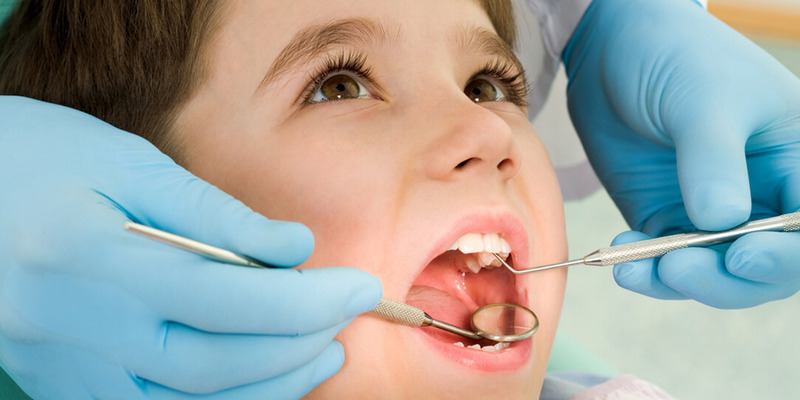 Some children may have anxiety because of the unfamiliar environment of a dental office. Luckily, there are ways to work through these fears at home and ease any anxieties they may have. Never give up on your child’s dental health and talk with your dentist about making it the best possible experience. 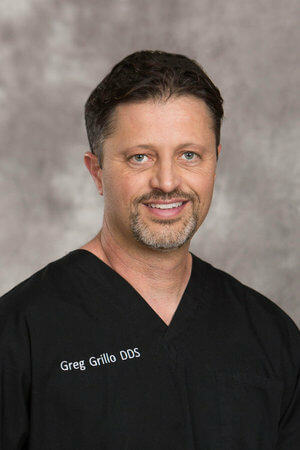 Dr. Greg Grillo is a 1995 University of Washington School of Dentistry graduate who has been practising in North Central Washington for 17 years. He balances his clinical practice with a role as the Content Director at a rapidly growing dental software company and freelance dental copywriting.